We love our patients! Thank you all for your feedback. We are honored to provide you with gentle, compassionate dental care. Please let your friends and family know about us -- we are always ready to welcome new smiles to our office. I've been coming here to see Dr. Spero for 9 years. We were first referenced here by a family member. On my first visit I was very impressed with how thoroughly he explained the procedure and since then we have not been elsewhere. We have two small children and Dr. Spero is great with kids!! If you are looking for a great family friendly dentist Dr. Spero is perfect!! My 10 year old son was so happy with how the doctor treated him. He loved how she made everything comfortable for him and he was not scared or anxious at all. The second I walked in the door, to the second I walked out the door was all so welcoming and genuine. 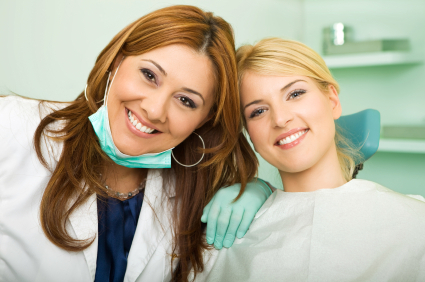 They showed a sincere care for me from the friend desk, to the hygienist, to the doctor. They where all so nice and seemed very informed and where able to answer and exceed all my questions. I will be sticking around this office for a very long tome. I strongly recommend them. I've been coming here for a couple of years now. My daughter recently asked me; Why do you always come to this office? It's because he's a good dentist and doesn't hurt you at all when you need a root canal! He's the nicest dentist and always is very thorough and explains everything through high tech images on a computer screen that's stationed right up front of your chair. The dental assistants are always ready to assist you in any concerns you might have, and are super friendly! The office is modern and very clean, including the restroom. I am no longer nervous when I need to visit the dentist! I just had an AMAZING dental experience at the dentist ! Who says that? Me, that's who! Dr. Spero is one of a kind. I felt absolutely nothing when he extracted my wisdom tooth, and in one piece ! He makes your dental experience a pleasant one and my family highly recommends him. Thank you so much Dr. Spero for the best dental experience ever! This dentist office is great! Friendly, professional and they really help you understand the procedures that need to be done. I get all my work done here and recommend them to friends and family! Excellent dentist! Makes you feel very comfortable, and is fast and efficient. If you have an emergency situation, this is the dentist for you! Highly recommend. Dr Spero, thank you very much for all of your help! You were such a blessing to us and we appreciate your kindness. Dr. Spero and his assistants are awesome. They get the job done quickly, efficiently and at a reasonable price. They are gentle and compassionate. I'm originally from No Ca, so I have been searching for a dentist I can feel comfortable with. They have 3 offices which makes it very convenient . I highly recommend them. You will not be sorry. Best dentist in LA hands down! I am an U.S. Army Vet. I went to the Citadel Dental Group, and Dr. Vincent Spero and his staff were very respectable and very professional -- much better then the previous dentist office I had been going to for nearly 25 years. I recently was recommended to Dr. Spero by a friend named Elizabeth Vasquez, and i was amazed by her experience, so I had to check it out for myself and it is worth every penny. I wish I Knew about Dr. Spero sooner. Best dentist and dentist office. I highly recommend.